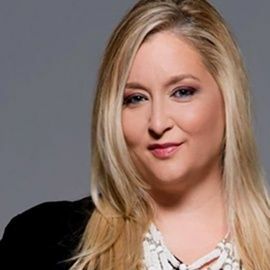 Jena Rodriguez, a Brand, Business and Brave Strategist and founder of Brave Masters, Inc. is committed to boosting brand clarity, catapulting profits and unleashing the full human potential of entrepreneurs internationally. She teaches service-based business owners how to capitalize on their “natural” abilities and package and price their greatest strengths so that they can create a money-making, world-changing brand. Over the last decade as an entrepreneur, Jena has learned that the ONE ... Más informaciones thing needed to reach one’s fullest potential in life and in business is BRAVE. Being brave is about saying YES without evidence, moving through fear, and being uncomfortable yet doing it anyways! By getting her BRAVE on, Jena was able to move from charging $89/hour to generating over $1.2 million in revenue over the last four and a half years. She has also helped her clients be brave and realize their value in their businesses, with several surpassing the multiple 6-figure mark and seeing revenue increases of 800% or more! Jena’s not all business! She’s also a mom, wife, author, animal lover, travel seeker, artist, personal development junkie and ocean lover. You can find her in her private FB group of entrepreneurs worldwide at http://bravemasters.com/braveFB. So don’t delay...connect!